Last week we posted two fun probability problems. If you haven’t given them the old college try do so now, because this week we present you with the answer, provided by the man who supplied the problems, author and Professor of Operations Research and Probability Henk Tijms. Voila. Enjoy this kind of thing? Try the Tuesday’s child is full of probability problems problem. 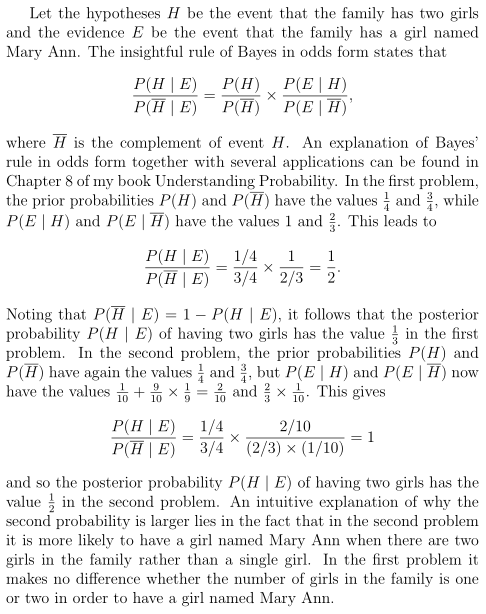 these problems aren’t involved enough for Bayes (especially when overburdened with so much mathematical notation). If you want to teach a curious child what to do here, just introduce the concept of sample space. 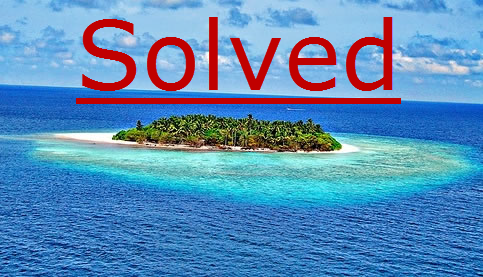 Solved: Two girls on an island problems was written on March 4, 2013 and filed in Ideas.